But, y’know . . . it WORKS! Tom Barbash weaves the lives of “real people” (John Lennon, Joan Kennedy, and Johnny Carson, to name a few) with his fictional characters so skillfully that the name-dropping doesn’t seem like name-dropping at all. It just comes off as a particular and extremely famous circle of friends who all just . . . happen to know each other. And for me, (a reader just a couple of years younger in 1980 than the 23-year-old narrator), it was a nostalgic treat to recognize all the news/events/TV shows/musicians that serve as the backdrop to this story set in 1979-1980. Barbash is a true master with dialogue. His characters talk to each other all the time, and their conversations are full of wit, wry humor, and spot-on analyses of human nature. It was a pleasure to “listen in” on their discussions. Bottom line, this book provides an inside-view of what life might be like for a small group of extremely famous people struggling with the peaks and valleys of their own fame and ambition. Highly recommended – especially if you like killer-dialogue and might enjoy a bit of 1980-nostalgia. 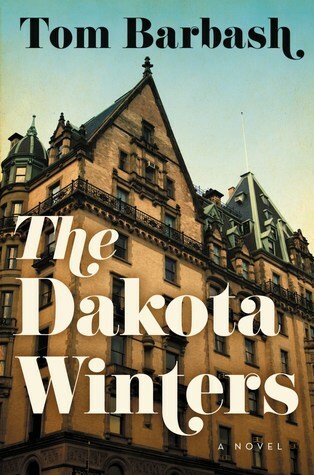 Sign into Goodreads to see if any of your friends have read The Dakota Winters.